Israeli forces reportedly destroyed an underground tunnel, which had allowed Hamas to covertly deploy its naval commandos. 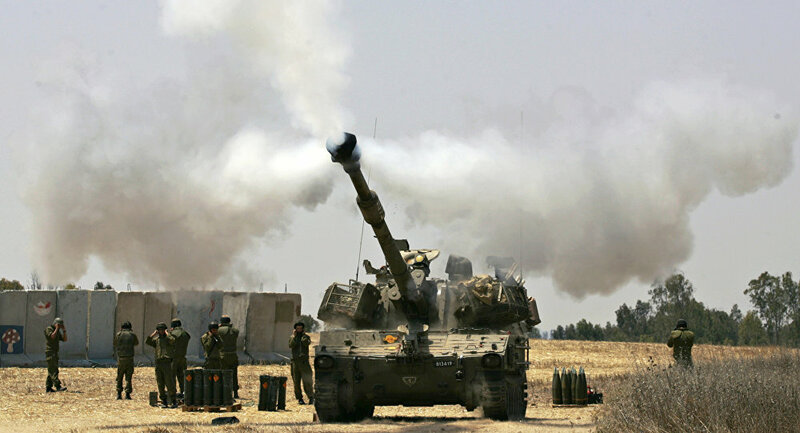 A tunnel in the Gaza Strip, which had allegedly been used by Hamas to send militants on covert assignments, was obliterated by the Israeli military, according to the IDF press service. "They tried to make it possible to covertly move from land to sea in order to perpetrate attacks inside Israel. We have known about this tunnel for a few months and decided that this was the right time for us to destroy it," a senior Israel Air Force officer told Haaretz. The tunnel reportedly extended into the sea and allowed Palestinian militants wearing scuba gear to move in and out of the Gaza Strip while avoiding detection by Israeli forces. — IDF (@IDFSpokesperson) 10 июня 2018 г. Earlier, the IDF fired warning shots at a group of Palestinians who were allegedly trying to launch balloons fitted with explosive devices over the border between the Gaza Strip and Israel.